An exciting package recently arrived at my door in the form of Octobers Degustabox. For those of you who haven’t heard of Degustabox it is a food box subscription service. Each month a box is delivered straight to your door which will contain 9-14 surprise items, many of which are new to the market! 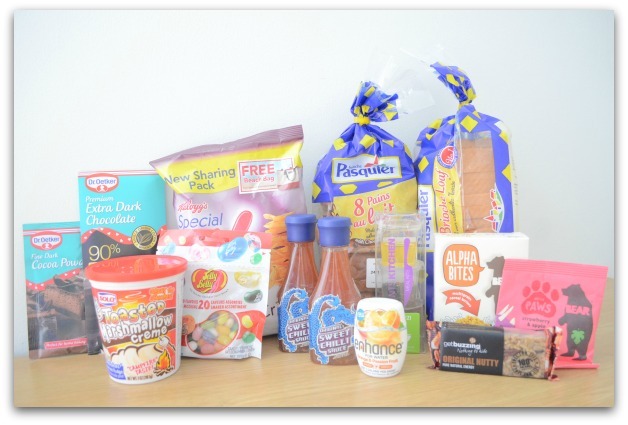 The subscription costs just £12.99 a month (this includes delivery) which is a bargain when you consider the items I received in the October box came to £23.07 and that’s not including the Alpha Bites cereal sample or the voucher to buy a Benecol 4 pack of yoghurt. 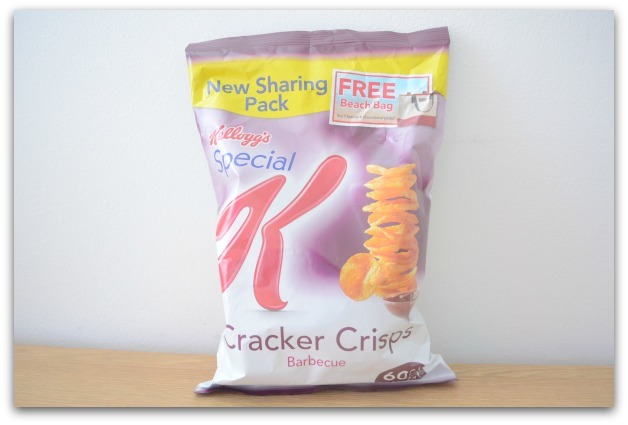 I am much more of a savoury person than a sweet person so was looking forward to trying the new Special K Cracker Crisps which were in the box. I was sent the barbecue flavour and to be honest I’m not usually a fan of barbecue but the crisps were delicious and the barbecue was more of a sweet barbecue rather than smoky which I think is why I like them. The crackers are also available in other flavours, including, salt & balsamic vinegar, Sour Cream & Onion and Sweet Chilli. I’m looking forward to getting my hands on the salt & Balsamic vinegar and Sweet Chilli flavours. With 60% less fat than the average fat content of most other crisps I don’t feel quite as guilty enjoying these, which is just as well since I ate the whole packet in one sitting – oops! I have tried Blue Dragon products in the past and have always found them to be great products, they are delicious and also reasonably priced. 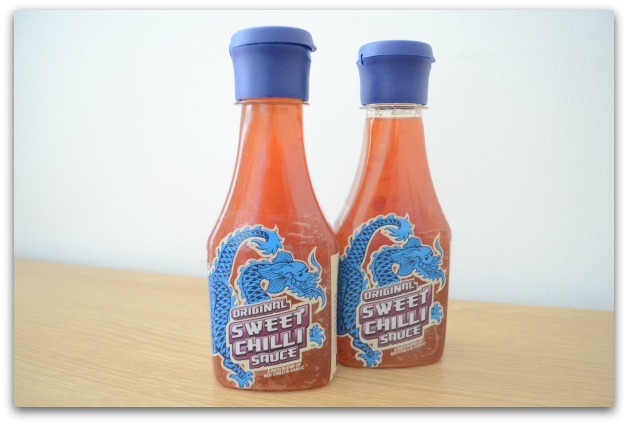 I received two bottles of the Sweet Chilli sauce which are perfect for dips, stir fries and adding to meals for a tangy sweetness. I used some of the sauce as a dip for crisps and it was lovely, really sweet and full of flavour. 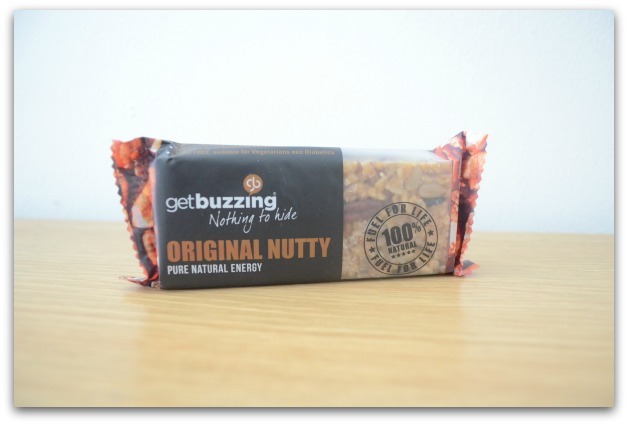 Get Buzzing offers a range of 100% natural healthy eating flapjacks, the perfect compliment to a well balanced diet. The bars release fast and slow energy which helps keep you going for longer. 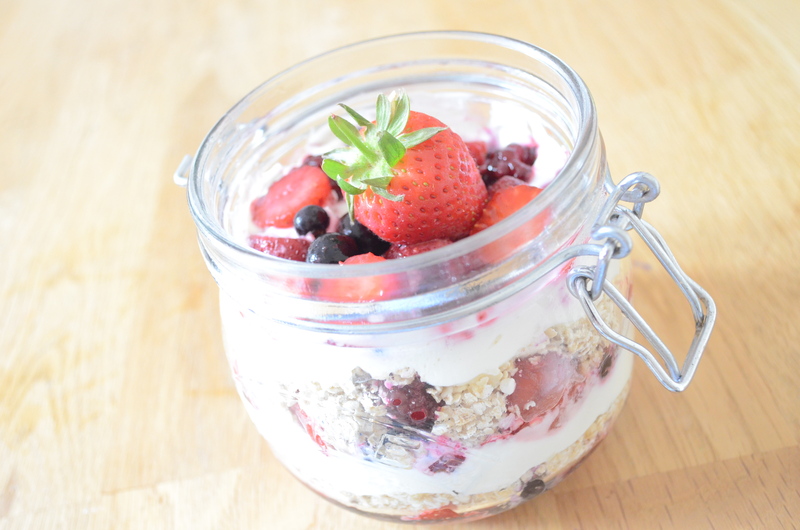 I have yet to try the flapjack as I’m not a huge fan of snack bars but it does look packed with nuts and seeds so perfect for people who do like this type of snack, great for the lunch box or on the go. I will be passing this on to my dad who I’m sure will enjoy it! 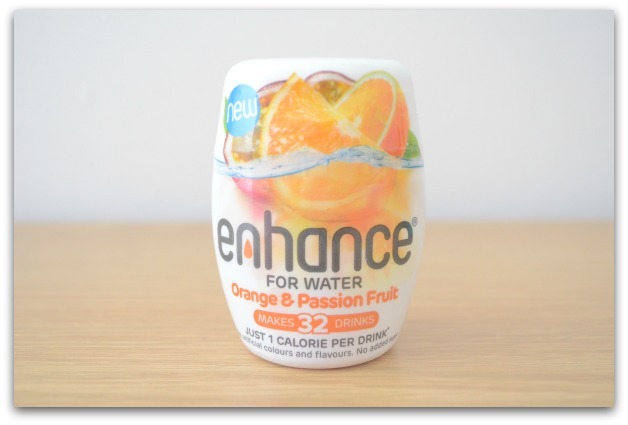 Enhance Drinks isn’t a product I had heard of before the box arrived so I was really intrigued to try it out. Enhance is a concentrated juice, one quick squeeze turns water into a delicious, light, fruit drink. 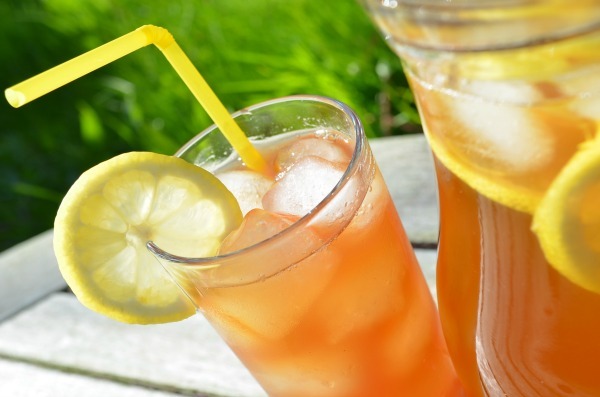 It is made with real fruit juices and contains no added sugar, it can make up to 32 drinks and each drink contains just 1 calorie! This is one of the first products I tried as it looked really interesting, I received the orange & passion fruit flavour which was really nice. I did have to add a few more drops than stated to be able to achieve a stronger flavour but all in all it is a great product. Perfect for having in your bag and great for camping trips. You don’t need to be a professional chef to cook up an amazing meal with the fantastic Kent’s Kitchen meal kits. These are definitely a great product to have in the kitchen cupboard, using an easy to follow method you can make a delicious meal that is full of flavour in 20 minutes. 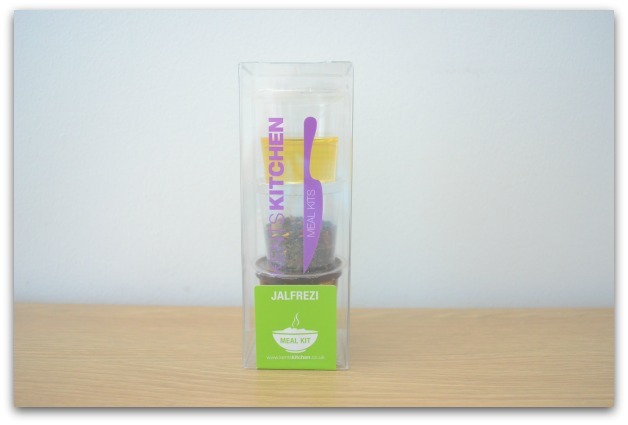 Simply use the three clever pots and add a few fresh ingredients to made a delicious meal. I really enjoyed making a meal with this kit, it is really easy to follow, tastes delicious and gives a much more authentic taste than using sauce from a jar. 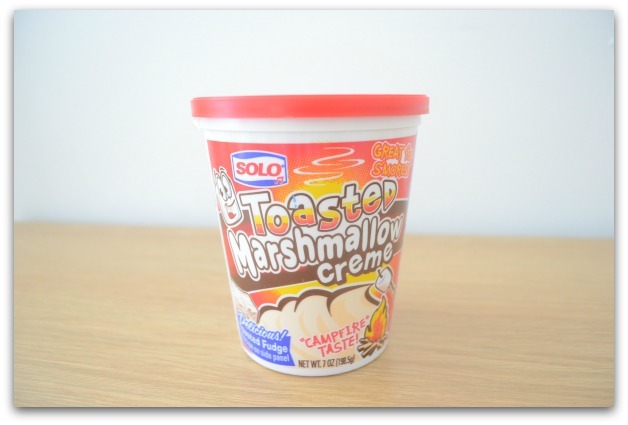 Solo Toasted Marshmallow creme is a spreadable marshmallow creme which is also great for baking, in fact there is a fudge recipe on the tub which I want to try out soon. The marshmallow itself is really soft, creamy and of course delicious! It’s perfect for using to make s’more which is something I will be using it for this weekend with my nephew. I love baking so when I saw the chocolate and cocoa powder inside the box I knew it would put it to good use. The premium 90% dark chocolate is perfect for melting and using in recipes that need chocolate, the chocolate bar is priced at £2.49. The Cocoa powder came in a packet of 3 and is made from the finest cocoa beans to give a rich dark chocolate flavour, a packet of 3 is priced at £1.89. 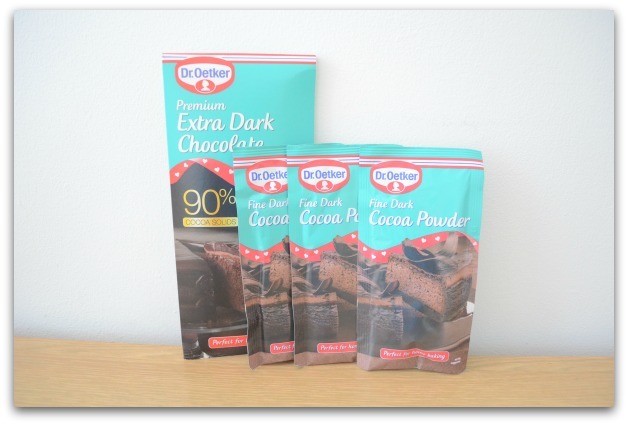 I will be making some chocolate brownies in the next week or so using the products which I’m sure will be fantastic as the Dr. Oetker brand is one I am very familiar with and enjoy using. 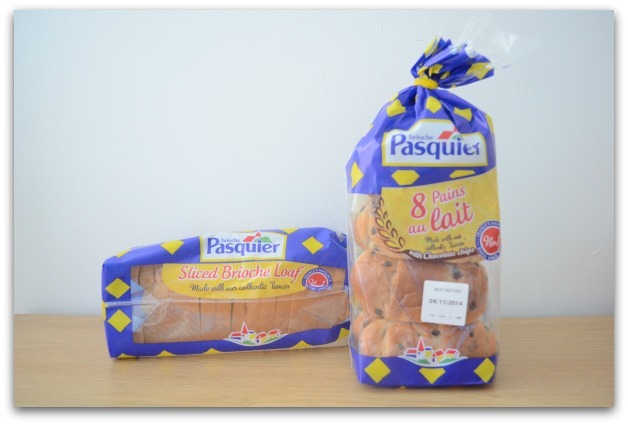 I had never tried Brioche Pasquier products so was looking forward to trying out the sliced loaf and the rolls. I tried the Brioche loaf first and tried it with butter and strawberry jam, it was sweeter than normal bread and really nice. Definitely a must buy if you have a sweet tooth. It would be perfect for making any bread themed deserts! The Brioche rolls are great for grabbing in the morning for breakfast or a quick snack to grab if you’re heading out the door and haven’t had time to eat. They are ready to eat from the packet and tasted delicious, you can even heat them up a little which melts the chocolate inside, mmm! This product was a sample present, the perfect size for breakfast. I have to be honest, I’m terrible with eating breakfast and haven’t eaten breakfast for a good couple of months. I know it’s supposed to be the most important meal of the day but it’s hard to break the habit of a lifetime. 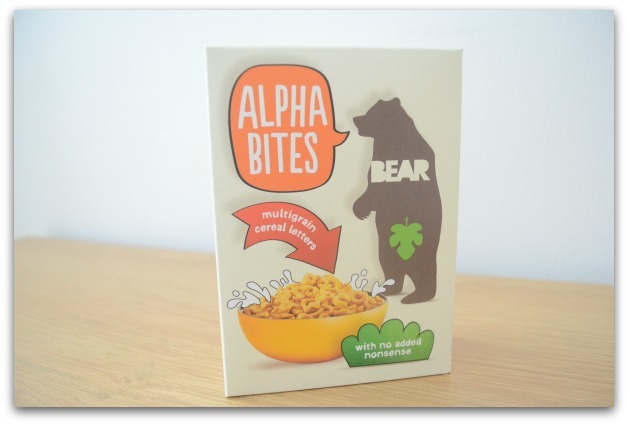 I did try the Alpha Bites just not at breakfast (I know, I’m a rebel lol) they were really nice and the fact they contain no refined sugar, no salt, are low GI and naturally high in calcium makes them a great breakfast cereal. This products is not only delicious, it’s cute too. My nephew Maxx and I tried these and we both thought they were delicious. 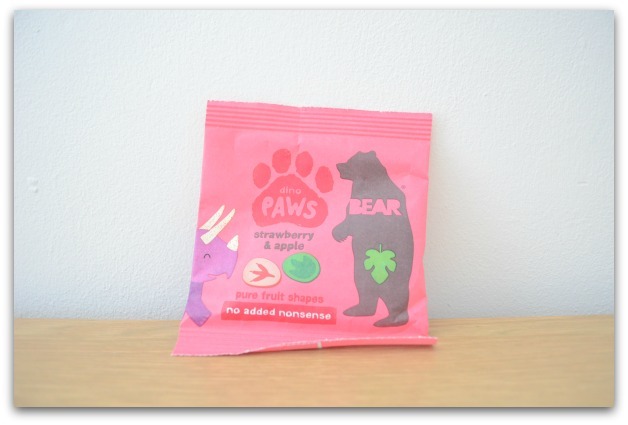 The packet contains a mixture of strawberry and apple fruit shapes that are gently baked into paw print shapes. These are great for packed lunches or as a snack on the go and are really reasonably priced. I hadn’t had jelly beans for such a long time before these arrived. 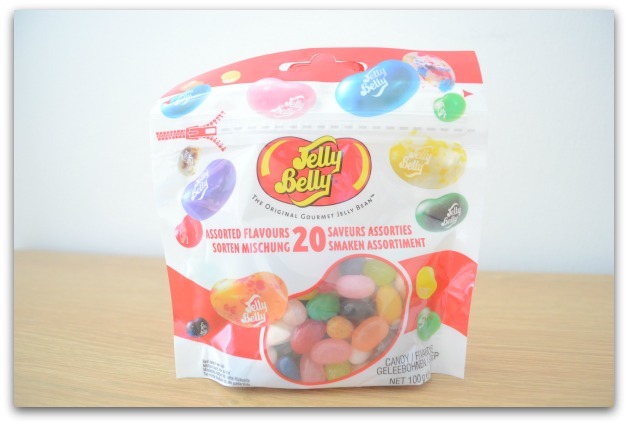 There are over 100 Jelly Belly bean flavours in the Jelly Belly family, so many delicious flavours! The pack I was sent contained an assortment of 20 flavours and included, green apple, bubble gum, toasted marshmallow, candy floss, my favourite wild cherry and many more. Here is an incredible Jelly Belly fact for you – each bean can take up to 21 days to create! No wonder they are so delicious and juice. I love the fact that you don’t know what items are in the box from month to month, it’s really exciting opening the box to see what’s inside. It’s like Christmas every month! 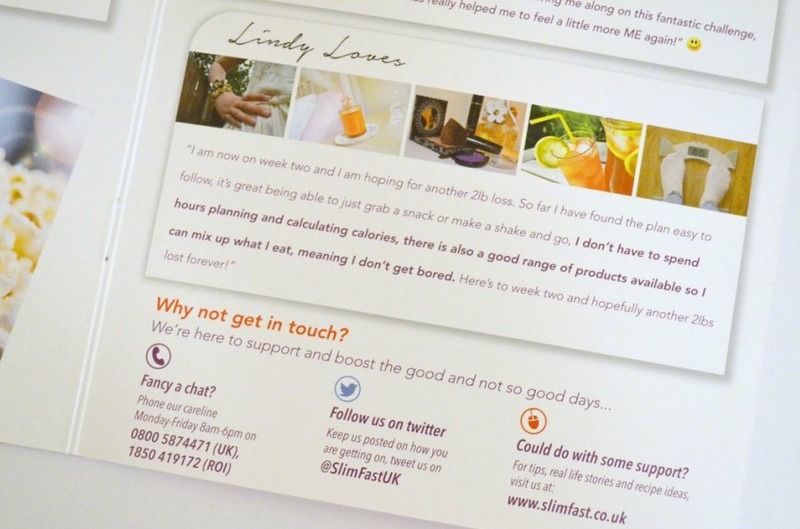 If you want to find out more about Degustabox or to sign up to receive a box straight to your door head over to the Degustabox website. There’s no commitment and you are not tied into a contract, if you decide you no longer want to receive the boxes simply cancel the subscription. 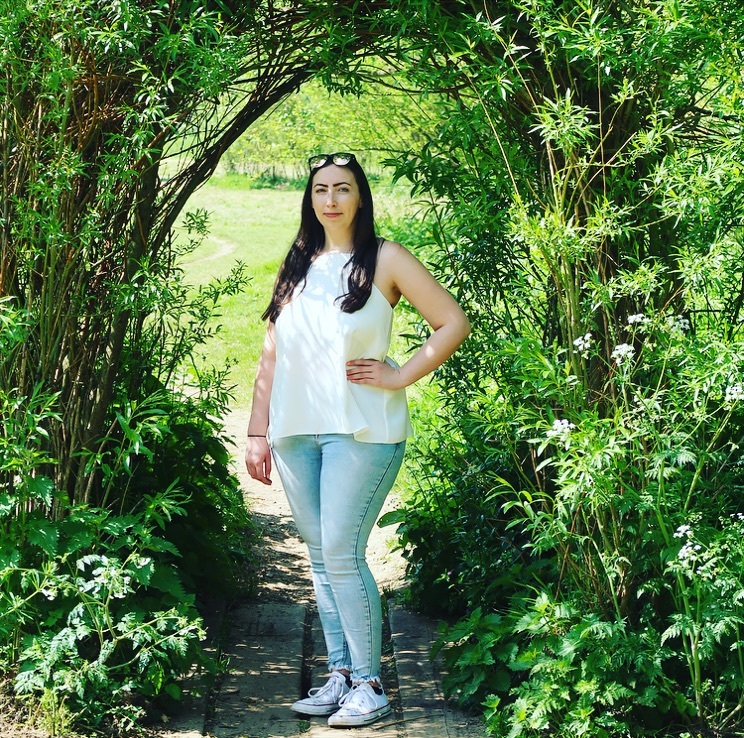 I also have a discount code – NJXGB this code will give you £3 off your first box so what are you waiting for? To keep up with the latest Degustabox news follow on Twitter and Facebook!